Room rate is $97.00 per night until May 12, 2019, when you let the hotel know you are reserving for the Orchard Place Trauma Informed Care Conference. Parking is available at no cost. This conference meets the requirements for CEU approval of 11.5 hours for social workers, mental health counselors and psychologists. Nurses will be awarded contact hours from MercyOne Des Moines Medical Center, Iowa Board of Nursing Provider #17. Full attendance is required per day.No partial Credit will be given. MOSAIC FAMILY Counseling Center, Inc.
Conference Audience: Professionals who work with children and families including: physicians, nurses, social workers, mental health counselors, foster parents, early interventionists, psychologists, educators, business, human resource, medical, and juvenile justice professionals. Apply the framework of interpersonal neurobiology to child development and discipline strategies. Illustrate how to be intentional about teaching specific caregiving experiences to shape how children's brains are wired and therefore function. Explain to kids about their own brain so they can have additional tools for self-regulation and make better decisions. Demonstrate to parents how to establish a consistent, overarching, Whole-Brain approach to discipline. Identify tools for kids to change their own struggles so they can be less reactive and more resilient. 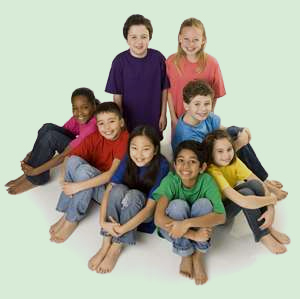 Identify basic developmental processes involved in children's understanding of race. Define the implications of implicit bias on education. Recognize foundational aspects of the science of implicit bias. Practice and refine skills of engaging in race based dialogue. Recognize the different mechanisms through which providers may be impacted by serving children and families especially those who have experienced trauma. Practice conceptualizing the behaviors of a provider through the lens of secondary traumatic stress, compassion fatigue, vicarious trauma, burnout, and mental injury. Recognize partnering with youth and families is an essential element of a trauma informed organization. Name the differences between engagement and partnering and how their 'provider privilege' can be a barrier to authentic partnerships. Identify and describe the four pillars of the Sanctuary model. Identify opportunities for their organization to embrace the principles of Sanctuary. Limited scholarships available. Please contact Nancy Boggess before 4-22-19 for more information before registering. There is a $25 discount per person for groups of 5 or more registering at the same time from the same agency. Please contact Nancy Boggess to register groups. An electronic link to speaker handouts will be available by 5-24-19. Conference book may not include all handouts. Tina Payne Bryson, Ph.D. is the coauthor (with Dan Siegel) of The Yes Brain (Random House 2018) as well as two New York Times bestsellers ... The Whole-Brain Child (Random House Delacorte, 2011) and No-Drama Discipline (Random House Bantam, 2014) - each of which has been translated into over thirty languages. She is a psychotherapist and the Founder/Executive Director of The Center for Connection and The Play Strong Institute in Pasadena, California, where she offers parenting consultations and provides therapy to children and adolescents. Dr. Bryson keynotes conferences and conducts workships for kids, parents, educators and clinicians all over the world. She has written numerous publications, for example mom.me, SkillFor Kids and the PBS series "This Emotional Life." She has also co-hosted a web-based parenting show and makes frequent media appearances at venues like TIME, "Good Morning America," Huffington Post, Redbook, The New York Times, and Real Simple. She is the Child Development Specialist at Saint Mark's School in Altadena, the Director of Parenting Education at the Mindsight Institute, the Director for Child Development for Camp Chippewa in Cass Lake, Minnesota and the Child Development Director for Lantern Camps. Tina earned her LCSW and Ph.D. from the University of Southern California, where her research explored attachment science, childrearing theory, and the emerging field of interpersonal neurobiology. Tina emphasizes that before she's a parenting educator or a researcher, she's a mom. She limits her clinical practice and speaking engagements so she can spend time with her family. Alongside her husband, parenting her three boys is what makes her happiest: "They're my heart. Their personalities make life so much fun. They've also made my research very personal, helping bring together the different roles I play in my life, where I'm part-time educator/researcher, and full-time Little-League-mom/super-Jedi-spy-with-laser-powers. As I've studied attachment and childrearing theory and the science of how brains work, I've been able to apply that knowledge and let it help me parent more the way I want: lovingly, intentionally, and effectively." Tina's professional life now focuses on taking research and theory from various fields of science and offering it in a way that's clear, realistic, humorous and immediately helpful. As she puts it, "For parents, clinicians, and teachers, learning about how kids' (and their own) brains work is surprisingly practical, informing how they approach discipline, how they help kids deal with everyday struggles and ultimately how they connect with the children they care about. Allison Briscoe-Smith, Ph.D. earned her undergraduate degree from Harvard University. She then received her clinical psychology Ph.D. from University of California Berkeley. She then went on to continue her specialization in trauma and ethnic minority mental health through internship and postdoctoral work at University of California San Francisco/San Francisco General Hospital. She has combined her love of teaching and advocacy by serving as a professor and by directing mental health programs for children experiencing trauma, homelessness or foster care. Much of her work has been with schools as a clinician, consultant and trainer. Currently she is a professor at the Wright Institute in Berkeley, California and she provides consultation and training to bay area non profits and schools on how to support trauma informed practices and cultural accountability. Chris Foreman, MSSW became a member of the National Child Traumatic Stress Network (NCTSN) in 2009 when she was selected as one of the five sites in the US to pilot a Caring for Children Who Have Experienced Trauma: A Workshop for Resource Parents Curriculum. She has since gone on to develop Trauma Informed Parenting training and implementation coaching for agencies across the United States. Chris is currently a liaison for the National Center for Child Traumatic Stress (NCCTS) co-located at UCLA and Duke Universities. Her job duties include consultation, resource brokering, facilitating collaborative connections, and technical assistance to a complex network of NCTSN organizational members and consumers of NCTSN resources. Chris remains an active trainer for trauma-sensitive schools, a coach in systems change processes and an adjunct lecturer in trauma-informed evidence-based practices. Sonni Vierling, MA is the Vice President of Orchard Place PACE Center, joining the organization in 2013. Sonni has over 25 years experience in public health and human services. Prior to Orchard Place, she was the Iowa ACEs 360 Coordinator and worked at the Iowa Department of Public Health where she ran statewide programs ranging from improving early childhood assessments in medical practice settings to increasing access to healthcare coverage for low income children. At a local level, Sonni worked directly with children and families as a community-based provider in homes and school settings. Sonni has a BA in Psychology from Grinnell College and an MA from the University of Iowa in Education and Women's Studies.